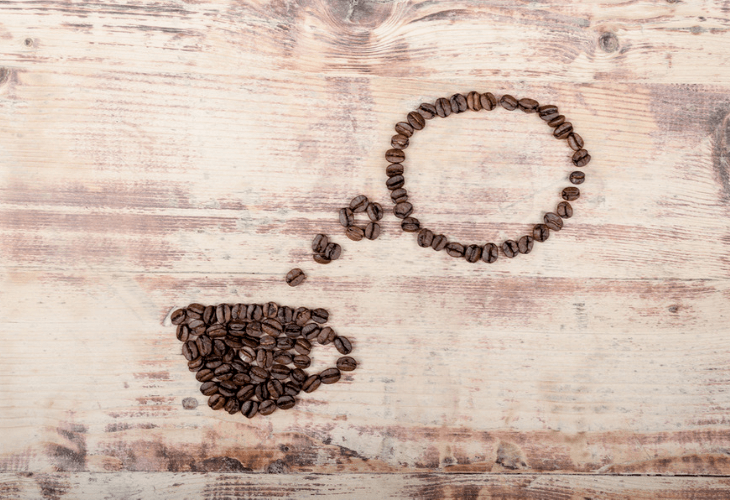 Coffee addicts and enthusiasts tend to have one thing on their mind when they wake up: their first cup of joe. If you head to the coffee maker a minute or so after opening your eyes in the morning, odds are that you have coffee beans and old coffee grounds in the kitchen, not to mention leftover coffee that’s cooling in the bottom of the pot. You can recycle that coffee, whether it’s beans you’ll never grind, grounds from the morning brew, or cold coffee you didn’t get a chance to drink. Coat them in watered-down white paint for a rustic look or spray paint them gold or silver to give them a metallic sheen. Gather them in a clear glass vase to put them on display. Instead of painting the coffee beans themselves, you can grind them, brew a pot and then use the coffee as watercolor paint or a stain. For darker paint, make an extra strong pot of coffee. Upgrade the macaroni art you made in kindergarten by creating words or pictures from piles of coffee beans. Don’t forget to snap a photo of your masterpiece when it’s done. If you have the patience and a steady hand, you can glue coffee beans to an old CD or DVD to make a custom coaster. P.S. If you eat, sleep, breathe, and drink coffee, as well as turn it into crafts and use it to decorate your home, it may be time to consider a career in the coffee industry. Coffee has a high acid content, which is good news for plants that love acidic soil. Spread used coffee grounds over the flower beds of gardenias, hydrangeas, Japanese irises, and others. 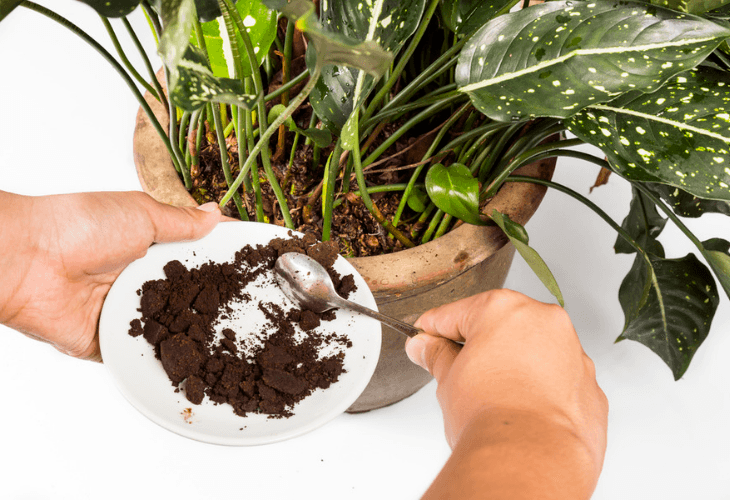 Also, since coffee grounds contain a lot of copper, magnesium, phosphorus and potassium, they release nitrogen as they degrade, making them an excellent addition to your compost pile. All you have to do is toss the coffee grounds in there; you can even toss the coffee filter in there, too, so long as it’s unbleached and biodegradable. The nitrogen that helps your compost pile can also help seedlings grow, so you may want to mix some grounds into your watering can. This is especially useful if you’re growing carrots or radishes. Since gardeners usually have a lot of dirt on their hands to wash off, make your own soap by melting down glycerine bar soap, mixing it with coffee grounds, then reshaping the bar and letting it firm up. Caffeine lovers can’t seem to get enough of their favorite morning drink, but the flavor doesn’t have to be relegated to just the first part of the day. Coffee is an excellent addition to some of your favorite meals, like chili. The earthiness of coffee adds an unexpected, rich flavor to the other spices in your simmering chili. All you have to do is replace some of the liquid in the recipe with brewed coffee. If someone gave you instant espresso powder that you know you’ll never actually use, turn it into a rub. Martha Stewart has an ancho chile powder and coffee rub that can be used on chicken, pork or steak. You can also use brewed coffee as a glaze for brisket, along with chili, soy and Worcestershire sauces, ketchup, honey, and garlic. 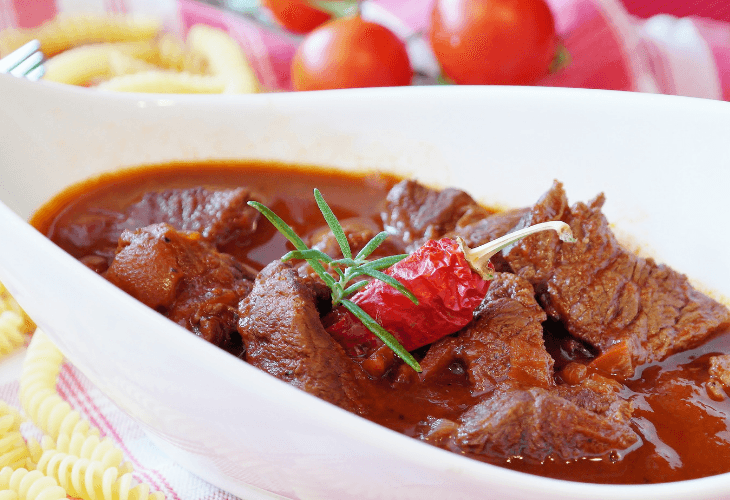 If you’re playing around with flavor profiles, try mulato chili peppers, which are both sweet and smoky, combining flavors cherries, chocolate, coffee and licorice. For a more complex taste that’s earthy and smoky, try urfa biber peppers, which includes hints of chocolate, coffee, raisins and tobacco. 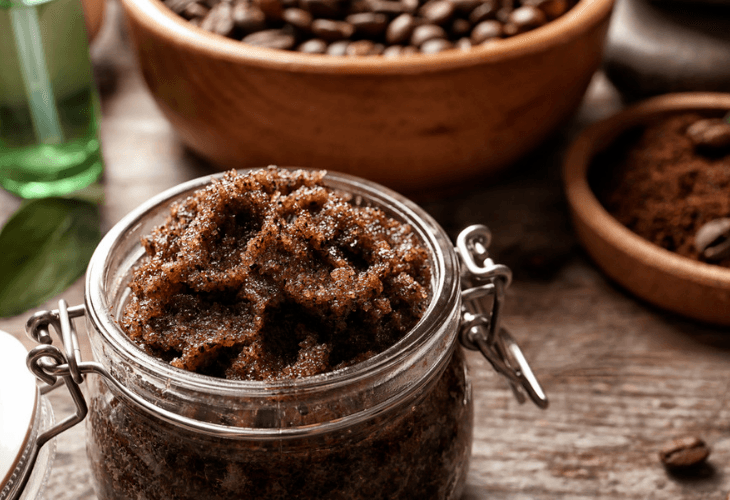 If you love DIY beauty products, use your leftover coffee grounds from this morning’s brew to make your own exfoliating scrub. The grounds are coarse enough to get rid of dry skin, and caffeine can make your skin feel tighter by stimulating skin cells. By adding your favorite oil, like jojoba oil, you can make this scrub in record time. For an extra indulgence and to complement the coffee’s aroma, mix in a tiny bit of scented aromatherapy oil, like almond or vanilla. Caffeine is a known treatment for cellulite, and it can also help reduce the signs of stretch marks while making your skin feel smoother. However, these benefits are temporary — they may make your skin look phenomenal for the evening or through the next day, but they’re not going to change your skin permanently. For many skin issues, like varicose veins and spider veins, the only type of effective treatment can be done by a dermatologist or specialist. While you won’t make your veins worse with an exfoliating treatment (they may even look better temporarily), it’s not going to produce any long-lasting results. Spread the grounds out on a cookie sheet and bake them at 250 degrees until they’re dried thoroughly. Once dried, put them in a bowl or open jar and place it in your fridge, freezer, closet, or anywhere you need to neutralize odors. 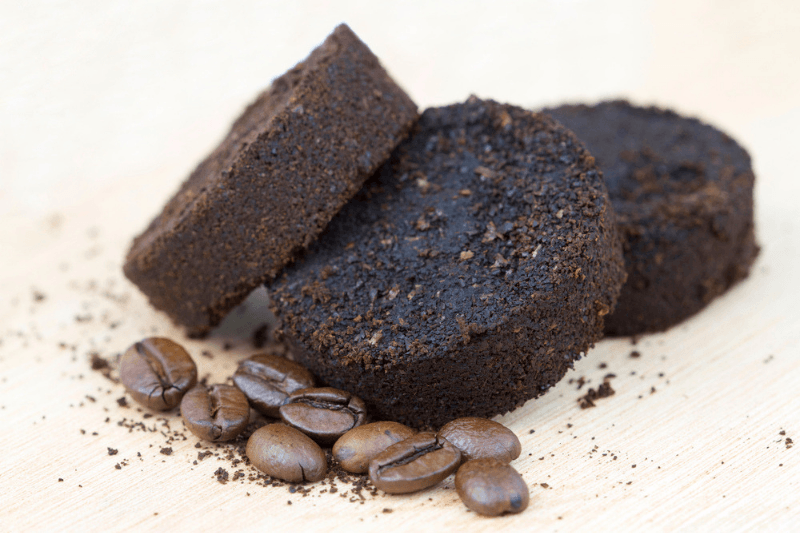 Turn coffee grounds into tablets to use in your garbage disposal. Store grounds in a can and rub a small amount over your hands after cooking with garlic or onions. Surround a votive candle with coffee beans — as they warm up, they’ll become aromatic. If you make your own candles, you can use some old coffee grounds to add to the scent. Since coffee is so great at neutralizing odors, you can also sniff coffee beans if you need to get a scent out of your nose. 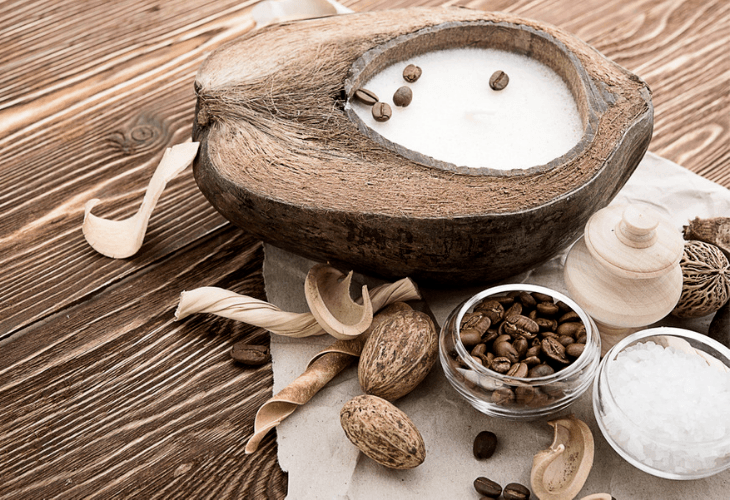 Some candle stores will have a little bowl of coffee beans available as you scent-test the different candles so that the aromas don’t start to blend together. 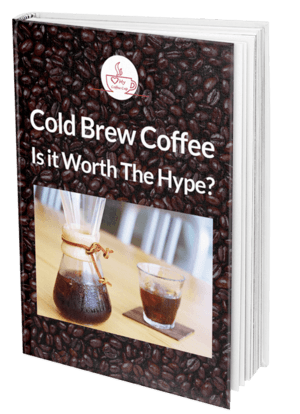 If you’re already a regular coffee drinker, or if you tend to get coffee as a gift, you can get more traction out of the beans or grounds than you might think.